Did you know that there are 15 different national parks located in the Northwest US? That's over 25 percent of the national parks for the entire United States. Magnificent mountains, incredible bodies of water, diverse forests, and unusual geological features are among the significant features found in these Northwest parks. These extraordinary landscapes are great places to enjoy outdoor recreation, to learn about nature and history, or to savor a scenic driving tour. Alaska is home to more national parks than any other state in the nation. Denali National Park is the most famous, appearing on almost everyone's travel wishlist. Alaska's other national parks are wonderful playgrounds for anyone looking to experience wilderness at its most pristine. Surrounded by colorful taiga and winding rivers, Denali is the tallest mountain peak in the United States and is part of the strikingly scenic Alaska Range. This vast Northern wilderness park preserves over 7.5 million acres of arctic ecosystem and offers no visitor facilities. The quiet waters and abundant glaciers of Glacier Bay National Park are a popular cruise ship destination. Bears, salmon, and volcanoes are the major attraction in this wildlife-rich nature preserve. The picturesque scenery and marine life in this Seward-area national park can be enjoyed by boat. This remote northern park is known for its vast caribou herds and unique sand dunes. Accessible by boat or aircraft, this multi-ecosystem park attracts wilderness explorers and sportsman. At over 13 million acres, this Southeast Alaska national park is the largest in the US system. Washington is blessed with some of the nation's most extraordinary landscapes. Olympic National Park is treasured for its diverse and unique ecosystems and Mount Rainier National Park is well known for its majestic beauty. Newer to the national park system is North Cascades National Park, which offers stunning lake and mountain scenery. 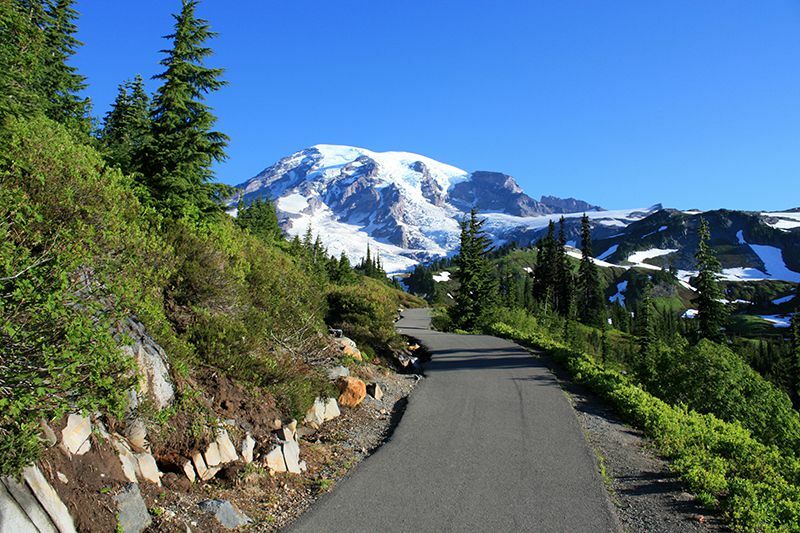 You will find old growth forests, summer wildflowers, and lovely waterfalls, all focused around massive Mount Rainier. One of the nation's younger national parks, the North Cascades complex has craggy peaks and gorgeous lakes, along with lots of hiking and camping options. Unique and varied ecosystems, including temperate rain forest and wild beaches, make Olympic National Park worth visiting again and again. The state of Oregon is home to just one national park, and it's one of the most spectacular. Famous for its deep blue caldera lake, this Oregon national park offers scenic drives and fantastic outdoor recreation. Montana is a major vacation destination for many reasons, with its famous national parks high on the list. Both Glacier National Park and Yellowstone National Park provide memorable experiences that include abundant wildlife, outdoor recreation, glorious scenery, and interesting history. Vast landscapes that range from snow-capped peaks to glassy lakes, Glacier is popular for its combination of scenery and outdoor recreation. The nation's original and ever-popular national park, Yellowstone can be accessed year-round through Gardiner, Montana. For sheer natural splendor, you can't beat the landscapes of Yellowstone National Park and Grand Teton National Park. Dynamic and colorful thermal features, fabulous facilities, and abundant wildlife are the highlights at Yellowstone National Park. Craggy scenic peaks, valley scenery, and abundant hospitality draw visitors to Grand Teton National Park year after year. Most folks don't realize that there's a slim section of Yellowstone National Park within the state of Idaho.